Are you locked out of your home? Do you need new high-security locks? For all your lock & key needs, you need a locksmith who’ll provide you with quick, reliable, qualitative and affordable services. Locksmiths have been around for centuries and have been applying their learned skills to provide solutions that have long kept the community safe and secure. Today, their role takes on a still more challenging avatar that has upped the education and skill requirements of individuals. Finding competent locksmiths to match the desired criteria might seem like daunting task, but not if you live in Sun Valley, CA area. Meet the region’s most sought-after locksmiths – Sun Valley Locksmith Store. Do you require new locks for your property? Or guidance on ramping up your home security? Turn to our residential locksmiths for help! We provide a vast array of solutions that are tailored to meet the requirements of residential spaces. From installing new locks, to providing eviction locksmith service to catering to basic maintenance/repair work, we do it all. We also provide free consultations to assess home security levels and recommend measures to bolster the security framework. Our home locksmiths know how to work well under the assigned timeframes and under budget, to deliver quality solutions. 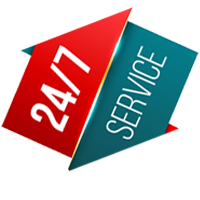 24-hour availability, doorstep service and the trust of several residents have made our services one of the finest in Sun Valley, CA area. Require lock & key services? 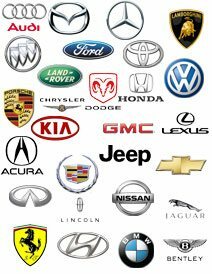 Choose the best, choose Sun Valley Locksmith Store! Sun Valley Locksmith Store is a renowned firm that has managed to revolutionize the locksmithing sector through provision of high-quality, cost-effective and a vast range of locksmith services. We started on this journey decades ago and have continued on the quest to achieving excellence ever since. We believe that the true measure of success comes not by assessing financial gains, but by measuring customer satisfaction. Through our constant upskilling programs we train our technicians and mold them to respond ably to the dynamic customer requirements. To facilitate movement and provision of on-the-spot services, we’ve equipped ourselves with a state-of-the-art mobile vehicle fleet. To provide added convenience, we’ve extended our hours of operation to stretch round-the clock. To ensure maximum levels of customer satisfaction, we provide quality work at low prices. Since we’ve always gone that extra mile to better ourselves, it’s no wonder that we’ve reached a prominent position in the industry, where we’re known for our timeliness, quality, reliability, and affordability. Mobile solutions: To reach out to all corners of Sun Valley, CA area, we operate mobile vehicles that can drive up to any location, in quick time. All our vans are loaded with cutting-edge tools and equipment to render services onsite. Do you have a lock & key concern? 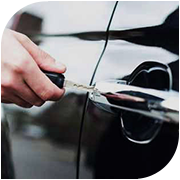 There can be no one better than Sun Valley Locksmith Store to serve you!